2014 Block of the Month-Corrected! You know the rule..."Measure twice, cut once"? I'm adding "Review your calculations three times and once more for sanity before putting them in the newsletter"! 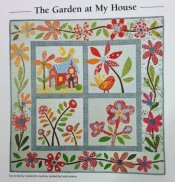 I waaayyyy overstated the price for our block of the month. The correct price is $75 to register (which covers the first month's block kit and the finishing kit), and $7/month thereafter. 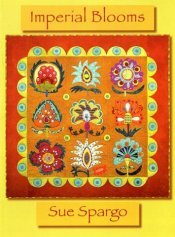 The program will start in April and the quilt is Marti Michell's Anniversary Waltz, pictured. It's made with twelve 12" blocks set on point. Our color scheme is black and white with touches of red. The finished size is approximately 85" x 105". A sample block is on the left. 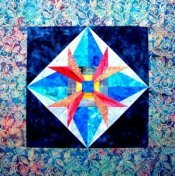 Sheila Bayley will be giving the demonstrations, and they will be on the first Thursday of each month at 10:30-11:30 a.m. and 5:30 - 6:30 p.m. We are taking registrations now through March 21. 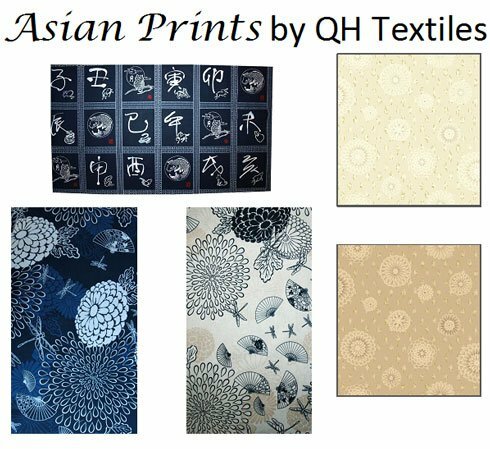 Here are the new fabrics we've received recently. 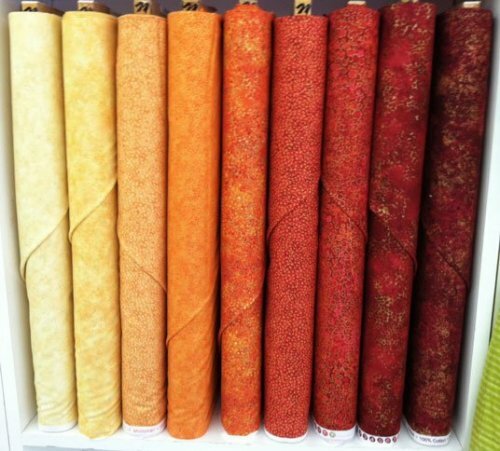 In addition, we have new precuts (charm squares and 2-1/2" strip rolls in cotton prints and batiks) and 13 bolts of absolutely beautiful Jinny Beyer batiks! 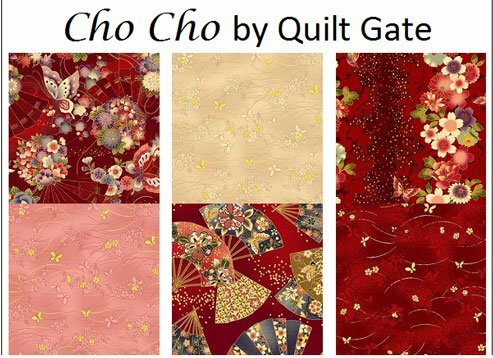 This is a great new line from Northcott called "Shimmer". These are the warm colors; we'll be getting the cool colors in a couple of weeks. 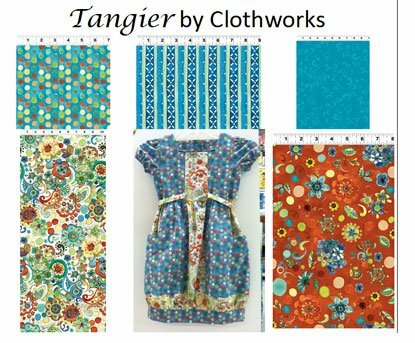 This fun collection from Clothworks was used to make an adorable little girl's dress (Kwik Sew pattern). 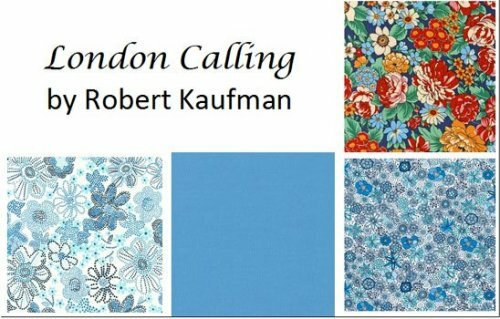 London Calling is a collection of lawn fabrics that pays homage to Liberty of London prints. 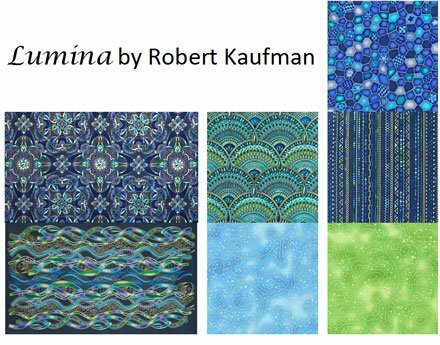 These would be beautiful in quilts and would also make lovely garments for spring. 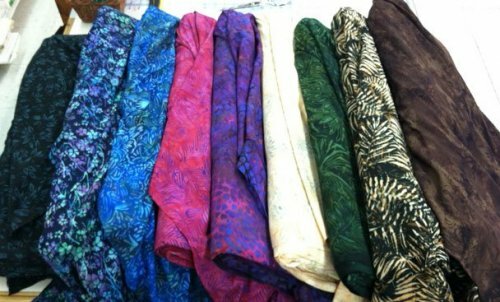 And also great for spring fashions, we have many new beautiful rayon batik prints.